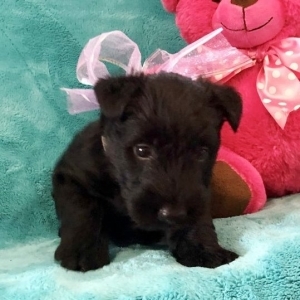 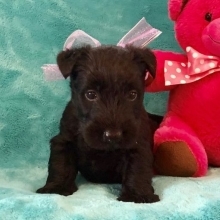 We require Scottish Terrier puppies to spend a little extra time with their mommies and littermates till they weigh 2 lbs. or are 12 weeks old (whichever comes first) before they can go to their new fur-ever home. 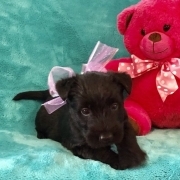 This little sweetie is Roma. With just one look you can already tell that she is going to be the talk of the town. Roma hopes that you like to go to the spa and be pampered because she likes to be primped all the way from her pretty head to her little puppy paws. The both of you will be getting all kinds of stares when you are out together. 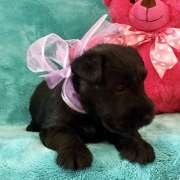 This little diva has her bags packed and she is ready to arrive to your home, so call now!